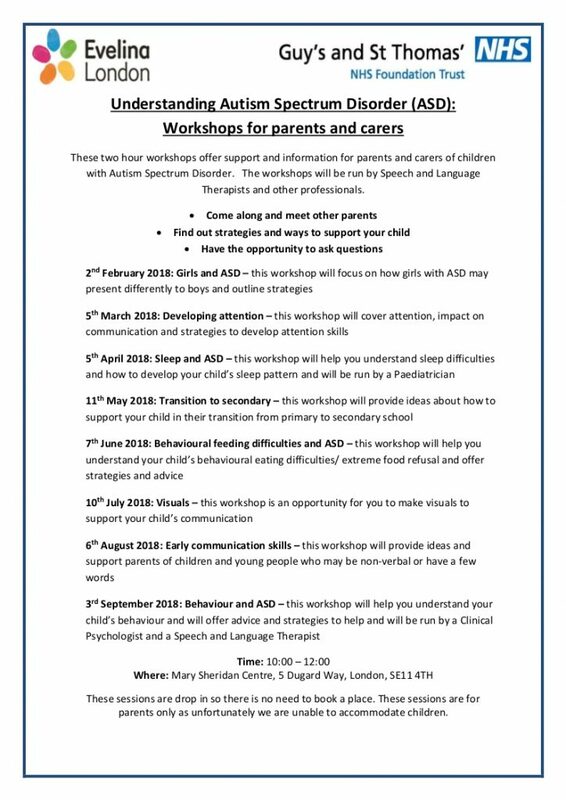 Our friends at Evelina London are organising a series of workshops for parents and carers of children with ASD. The two hours workshops start in February 2018 and run through until August. They will be run by the Speech and Language specialists at Evelina London. All sessions start at 10am and will run through until midday. These are drop in sessions. There is no need to book. The workshops are for parents and carers, and not children.